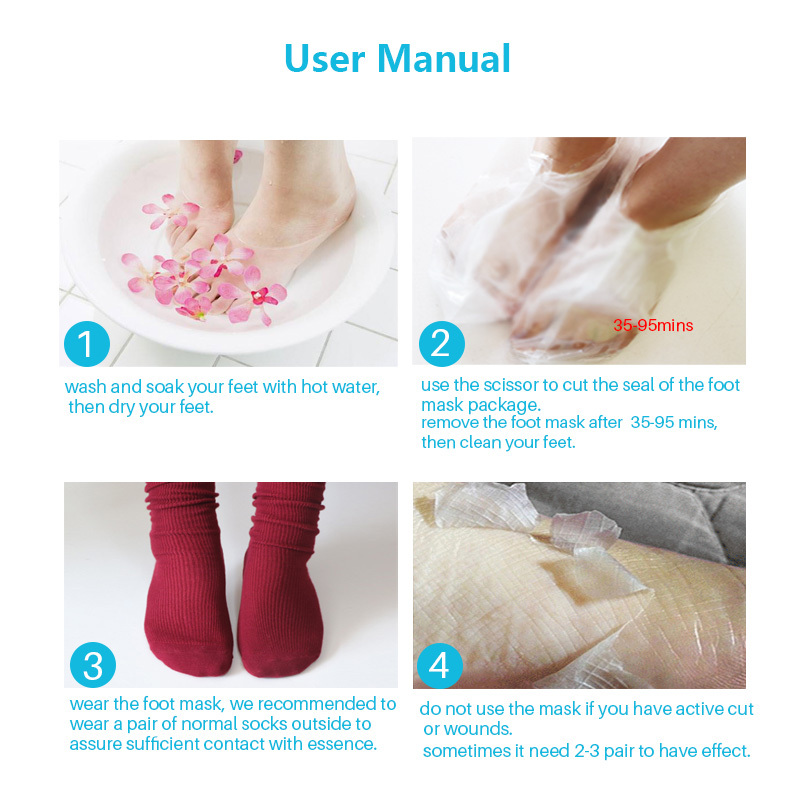 These baby foot peeling socks help remove dead skin on your feet and make them smooth! 1.Thoroughly wash your feet.For people with extremely rough cuticles, you may also exfoliate your feet prior using the masks. 3.Remove the masks from the pouch and wear them as if you are wearing your socks. 4.Wear the masks for 1-2 hours(minimum 30 minutes for sensitive skin). You may experience tingling or warming sensation, this indicates that the masks are working.Stop using if you experience uncomfortable burning sensation. 5.Remove the mask and rinse your feet with water. 6.Wait for the peeling process to start. Depending on feet's condition, the entire process may take 7-10 days, or longer depending on the absorption of each person (I only started peeling after 7 days).